Derbyshire based On Event Production Co teamed up with YMCA recently to help create a memorable evening of fundraising and entertainment. YMCA recently held its 2018 Ceilidh Dinner and Fundraiser at Derbyshire County Cricket Club, to raise awareness of and vital funds for its ‘Safe Front Door’ campaign. On Event Production Co., which is based in Castle Donington, took a table of ten at the event, but also provided full technical support in the form of lighting, sound, video screen and staging on the night free of charge. All money raised from the event will go towards the YMCA campaign and will make a huge difference to the support and positive activities they can provide to young people in Derbyshire. It will enable YMCA Derbyshire to provide not only a safe place to live, but also the positive activities, volunteer and work experience opportunities needed to enable young people to move on to training, education, employment and independent living. This is the second time in 2018 that On Event Production Co. has supported the charity. 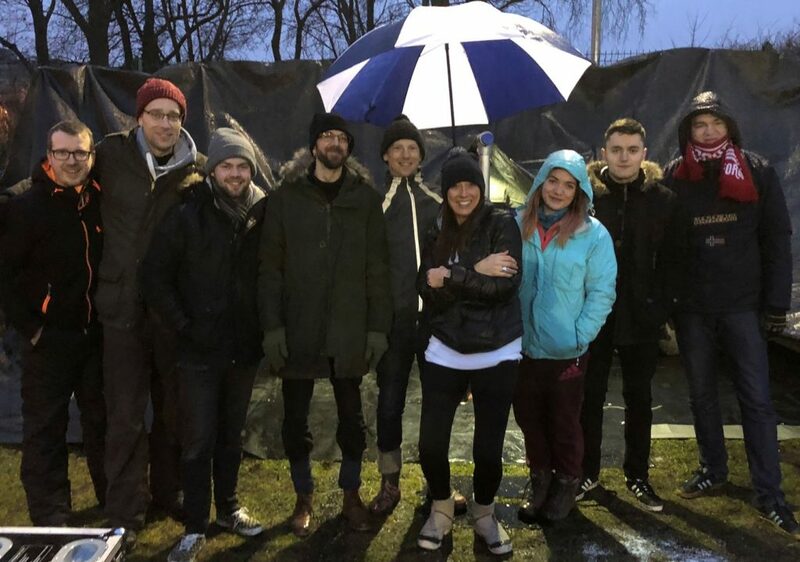 Earlier this year, the firm took part in the charity’s 2018 Sleep Easy challenge, which saw a team of 10 colleagues sleep under the stars in cardboard boxes and sleeping bags, helping to raise more than £3,000 in the process. Guy Eaton, Managing Director at On Event Production Co., said: “We’re a socially-responsible business and were delighted to strengthen our partnership with fellow Bondholder YMCA Derbyshire by supporting this event, not only by taking a table but also by lending our expertise to provide production and event management services on the night.